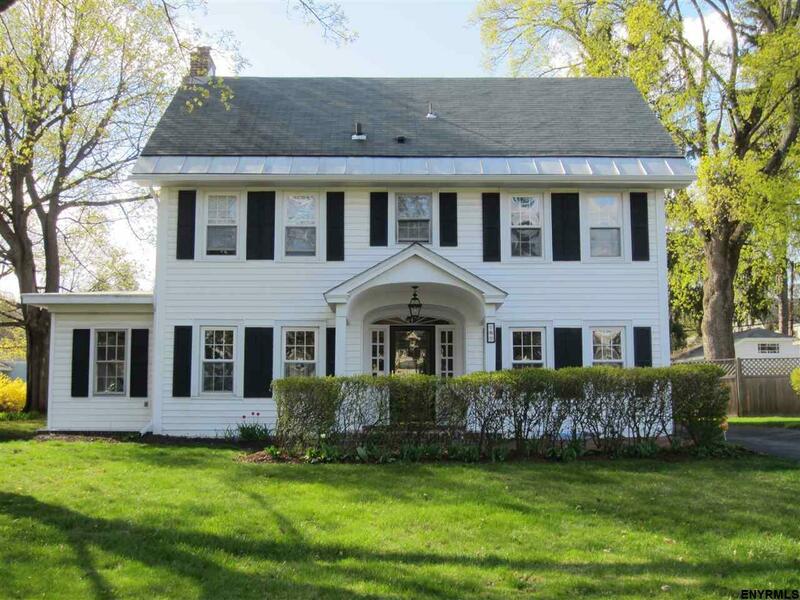 Elegant & original Colonial with beautiful light. Dream backyard with in-ground pool & perennials. Lovely architectural details: Hardwood floors, french doors, crown molding, chair rail, built-ins. Quarry tiled wainscoted sun room. Large master bedroom, over-sized eat-in kitchen. Newer siding, windows, privacy fence, pool liner/pump.